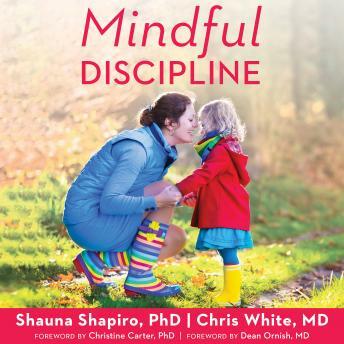 Written By: Md Chris White, Shauna L. Shapiro, Ph.D. Grounded in mindfulness and neuroscience, this pioneering book redefines discipline and outlines the five essential elements necessary for children to thrive: unconditional love, space for children to be themselves, mentorship, healthy boundaries, and mistakes that create learning and growth opportunities. In this book, you will also discover parenting practices such as setting limits with love, working with difficult emotions, and forgiveness and compassion meditations that place discipline within a context of mindfulness. This relationship-centered approach will restore your confidence as a parent and support your children in developing emotional intelligence, self-discipline, and resilience-qualities they need for living an authentic and meaningful life. by Md Chris White, Shauna L. Shapiro, Ph.D.